Our Romantic Couples evening is designed to be a date night with a difference. A dining experience where you spoil each others taste buds with a range of fantastic foods incorporating some of the top 10 aphrodisiac foods. Start the evening off with a delicious complimentary welcome drink, then move through to the kitchen to prepare a dish with your partner in the company of other couples. Each couple prepares 1 dish, either a starter, main or a dessert, once you have completed the cooking process and your dish is beautifully plated and ready to be enjoyed it will be placed on the buffet table alongside all the other dishes to provide each couple with a variety of taste sensations. The beauty of this date is that you get to go home after a fun, relaxed evening to no dishes to do. It will be a night to remember! Availability: Classes take place @ 18h30. Numbers: This experience is for two and forms part of a group. What to take: Dress sensibly and wear flat, rubber soled shoes. Duration: Allow a full evening for this experience. 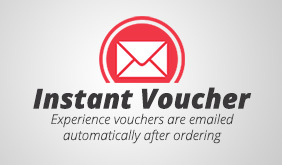 Additional Information: This experience includes an e-voucher. WOW, last night was off the hook. Very personal, loved it. High recommended to friends. Thanks for your assistance.